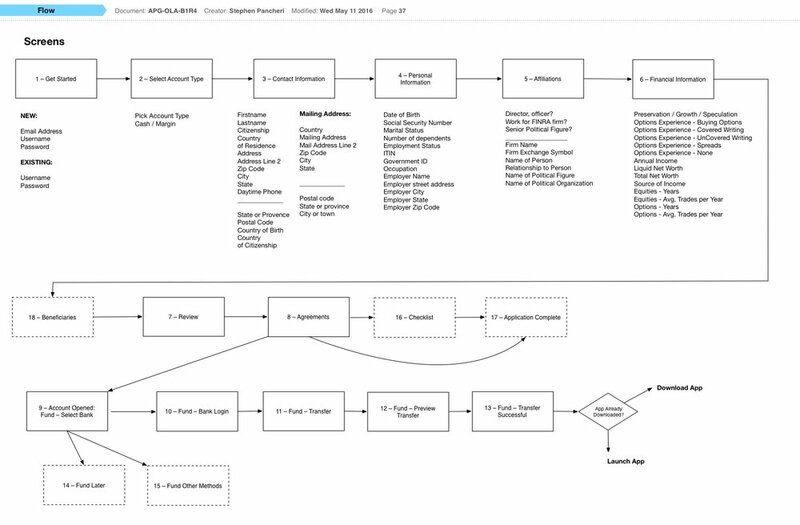 A redesign of the OptionsHouse sign-up funnel from start to finish. 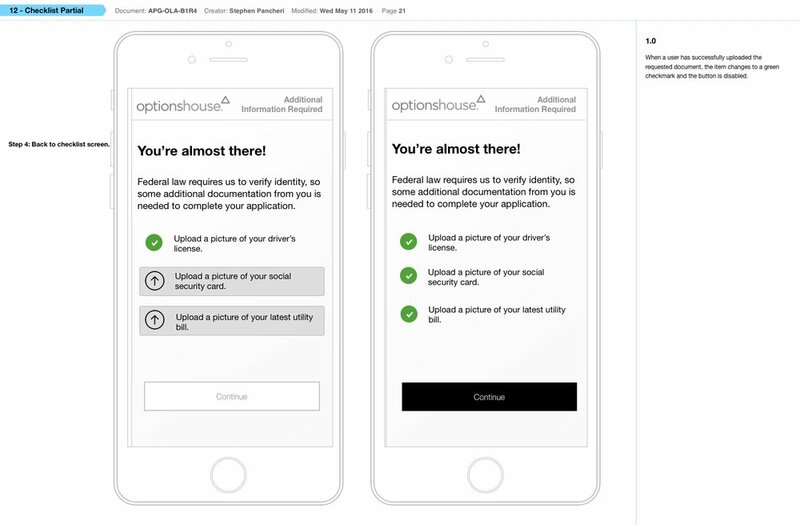 OptionsHouse.com, an online stock and option trading platform owned and operated by eTrade, was suffering from poor conversion rates due to a sub-optimal signup process. We redesigned the entire signup funnel, start-to-end, with a mobile-first approach that resulted in a marked improvement in application completion rates.